While looking for something else this morning I came across an enormous stack of postcards I'd collected over the years. 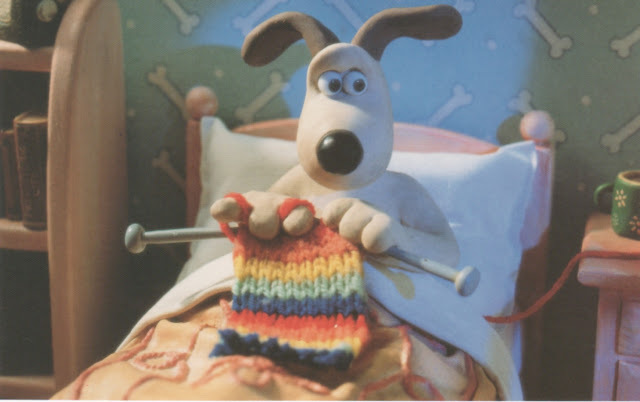 I thought this one of Gromit was a cheerful offering for a winter morning. I've always admired Aardman's attention to detail, from the bones on the wall paper to Gromit's carefully tensioned yarn. I've gotten out of the habit of sending postcards. If we don't send postcards to one another every once in a while, then the only thing posted to the refrigerator will be the grocery list, and where's the fun in that? Postcards also make good bookmarks, particularly for very dull books. Finding a years-old postcard when you pick up Henry Esmond (the Very Dull Book currently on my night stand) briefly takes your mind off the fact that you're still reading the darned thing. 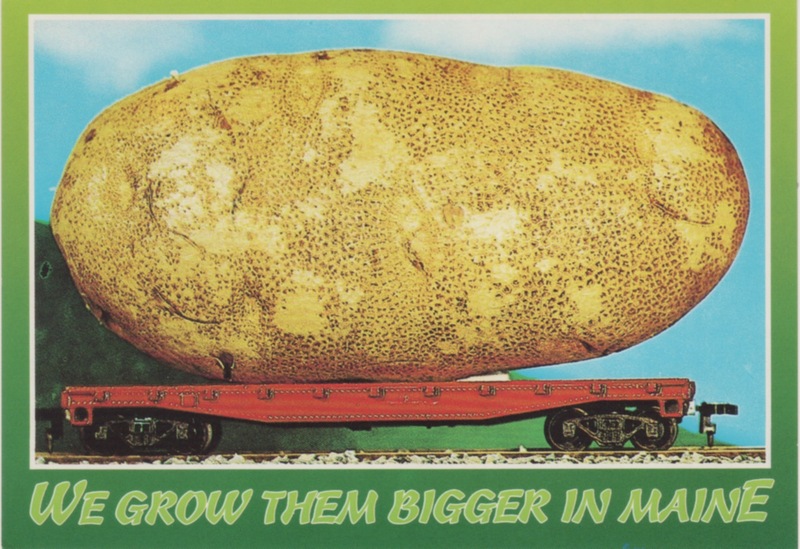 While art print post cards are probably in the best taste, I think one ought to loosen up now and again and send a silly post card, particularly to somebody who's not expecting it.